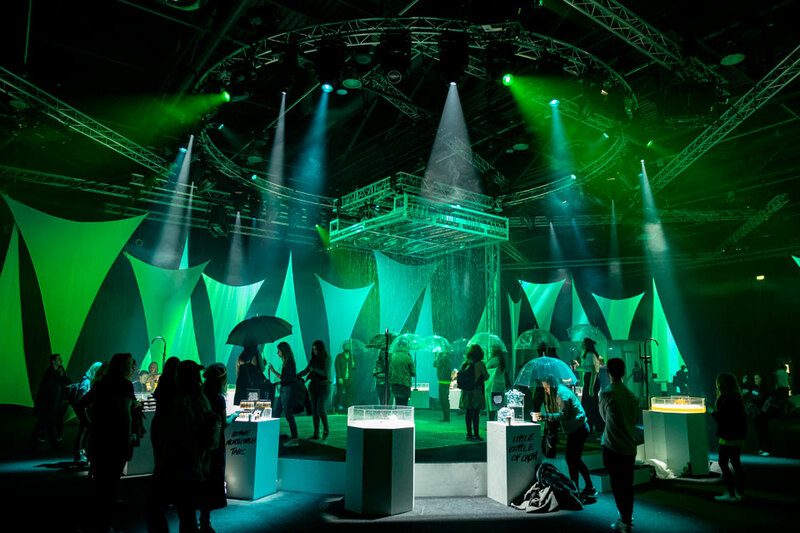 The Lush showcase is designed to immerse fans into the brand, products and ethics of the company and provide an environment for customer engagement. It gives their customers exclusive access to soon-to-be-released products, a closer look at the ingredients and how they’re sourced and insight into the company’s initiatives for human and animal rights and environmental issues. 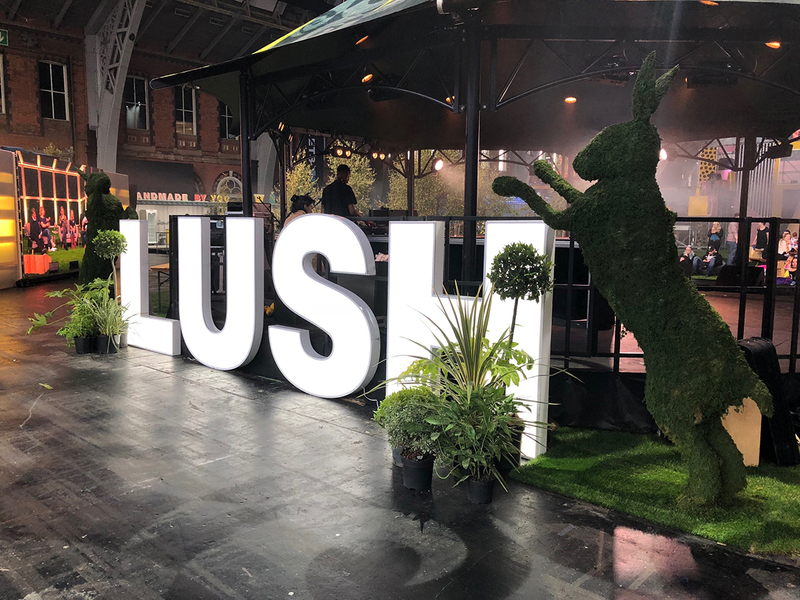 This year the event was hosted outside of London for the first time, attracting 12 000 visitors to get hands on with Lush’s beauty and bath products at the Manchester Central Convention Complex. 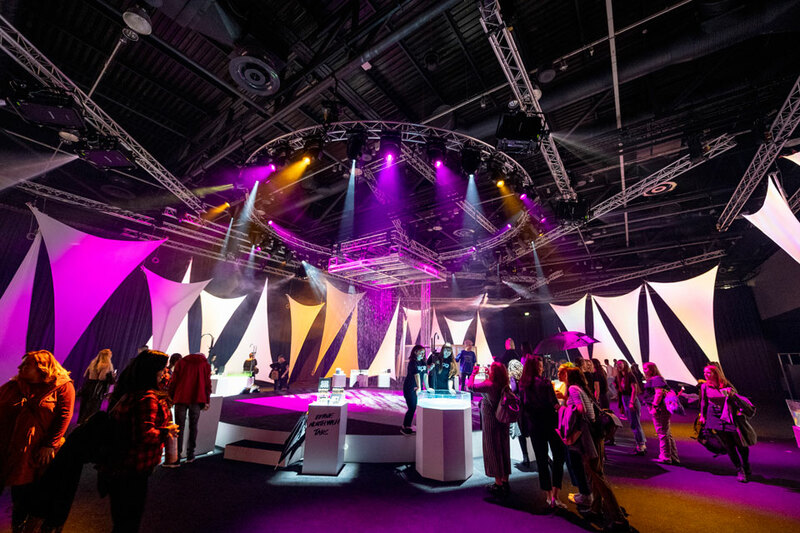 With a footprint of over 17 000 square meters, the Lush Showcase, which took place on the 23rd and 24th of September 2018, is the biggest single event that Presentation Design Services has managed. 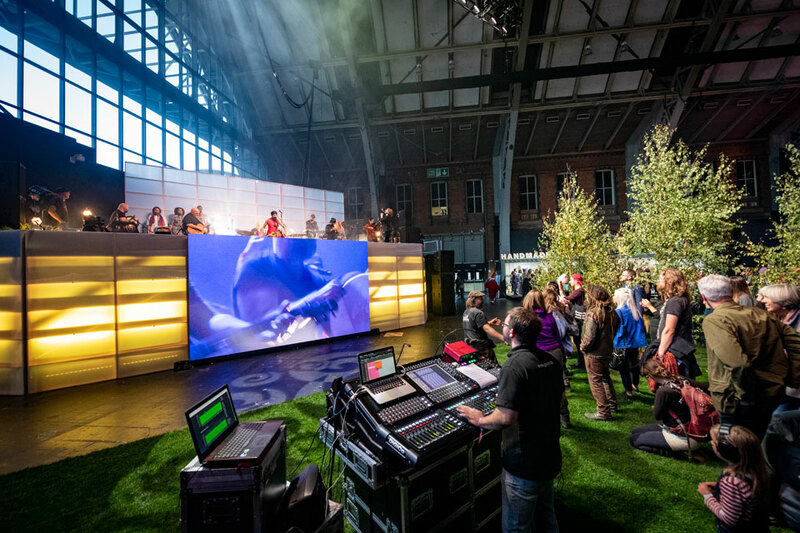 After working with Anna Valley at the Lush Summit in London earlier in the year, PDS turned to the team once again to supply and co-manage the video requirements for the Showcase. 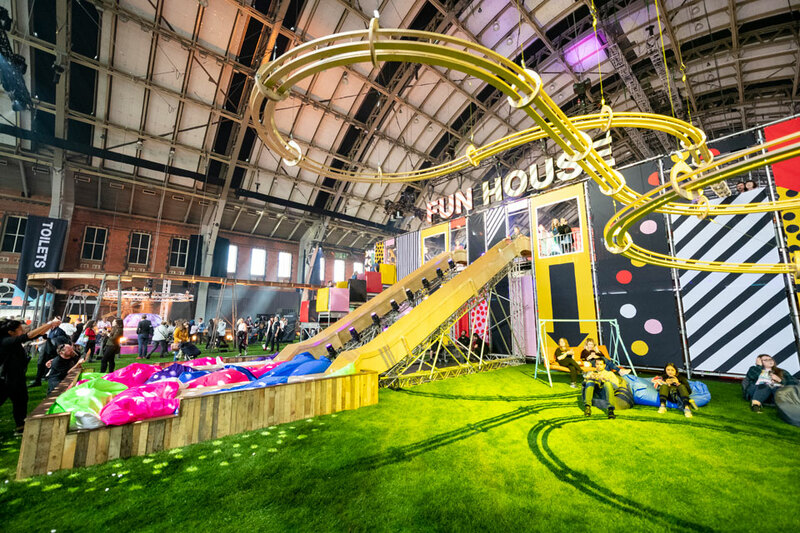 The main event space was a playground of Lush experiences – complete with indoor hot air balloons, a fun house with oversized slides and a wobblefloor, a park area complete with real grass and bandstand, and a bath bomb marble run. Anna Valley was responsible for both capturing and displaying video content in this vast, 10 000 square meter space. 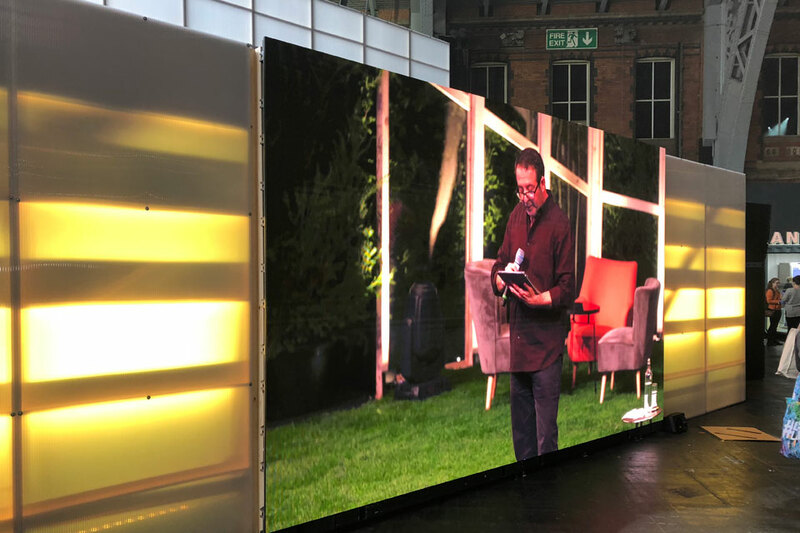 Live feeds from across the event and prepared content were displayed so that visitors got a sense of the entire event activities as well as product and branded content. A Sony A7S camera with super-wide fisheye lens was rigged to the basket of each of the hot air balloons. These cameras wirelessly transmitted live feeds of the balloon-view of the show floor as visitors made their “flight” up and down. 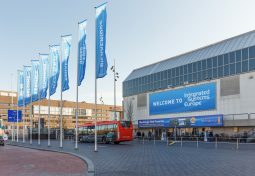 Seven Panasonic AW-EU70 hothead cameras were flown to a height of twelve meters to capture live footage of visitors going down the slides, the bath bomb marble run and other activities in the main event space. These cameras were remotely controlled from the ground. Two 5mx3m AV2 LED screens were erected in the corners of the entrance to the main concourse. 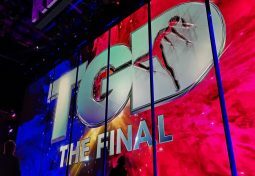 An additional two 7.5mx4.5m AV3 LED screens were flown from a twelve-meter-high truss to provide an elevated display of the content and feeds. – a Panasonic HS410E Vision Mixer feed used to mix and produce real-time masking and effects for the hothead cameras. 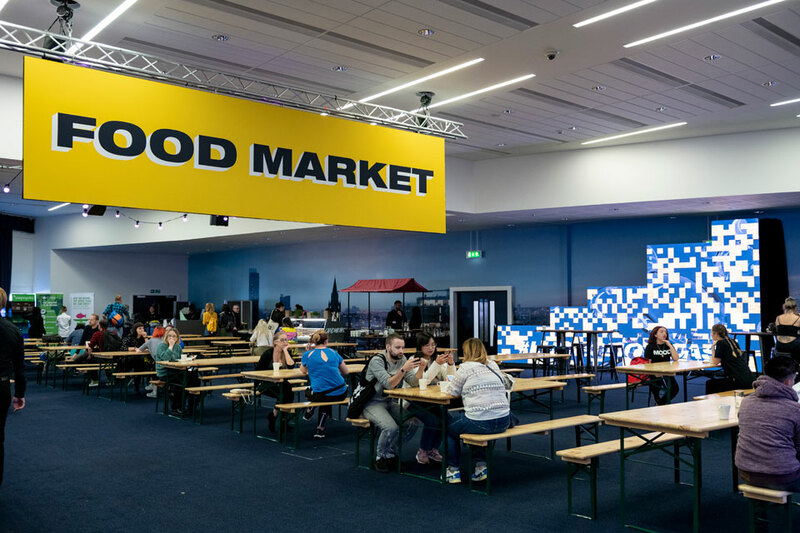 The dining space was enhanced with an AV2 LED display with a difference. The Anna Valley team used 56 x LED panels to create a “staircase” digital display that covered a total area of 6m x 3.5m. 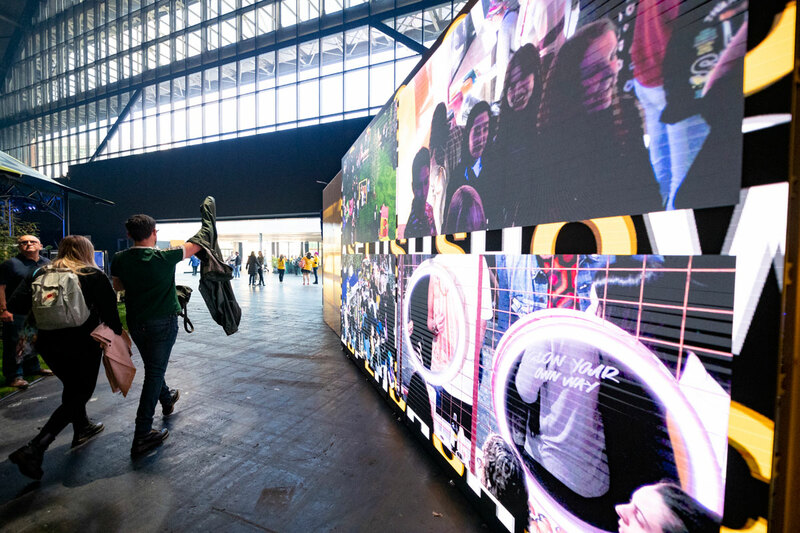 The screen was fed by a browser-based platform that gathered and displayed social media tweets and posts by users that tagged Lush or used the event hashtag. The content was designed to display a post or tweet and then for this to reduce in size and add into a mosaic effect of other user’s tweets and posts. 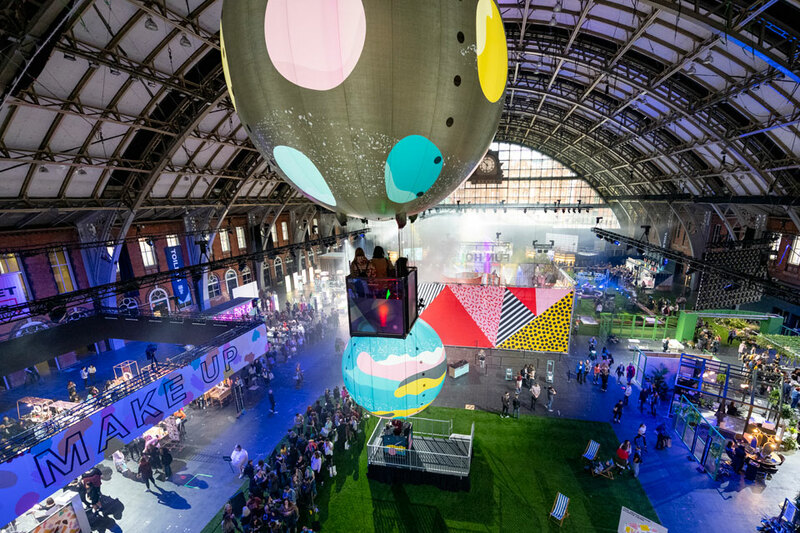 The Exchange Hall was transformed into an audio-visual depiction of different feelings to launch Lush’s newest product #LushMood. The room’s visual and audio content was co-ordinated to create an immersive experience that represented the way these products could be used to enhance user’s moods. 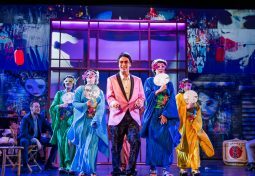 Different moods were created by changing the tempo and style of music played, which, in turn, triggered different visual displays that matched the feeling being created by the music – these elements combined to create an audio-visual depiction of that mood. 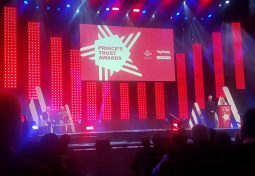 Anna Valley achieved the visual effect by using two Hippotiser Boreal Plus media servers to manipulate graphic “mood” content and then created a blended projection of this content onto a series of Lycra sails using 10 x Panasonic RZ21K projectors. The moods were enhanced with physical experiences including an indoor rainstorm. 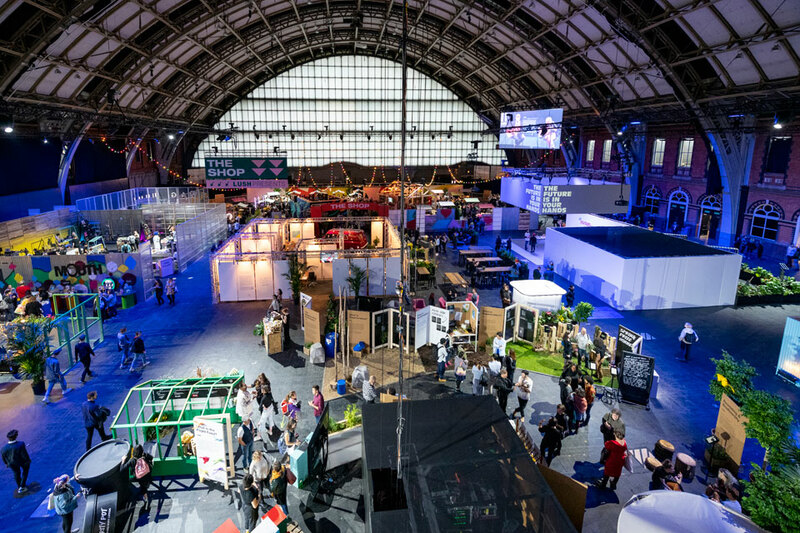 The use of video content and displays at the Lush Showcase demonstrates how video is becoming an increasingly important part of events, and how it can be used to create a consolidated event experience. 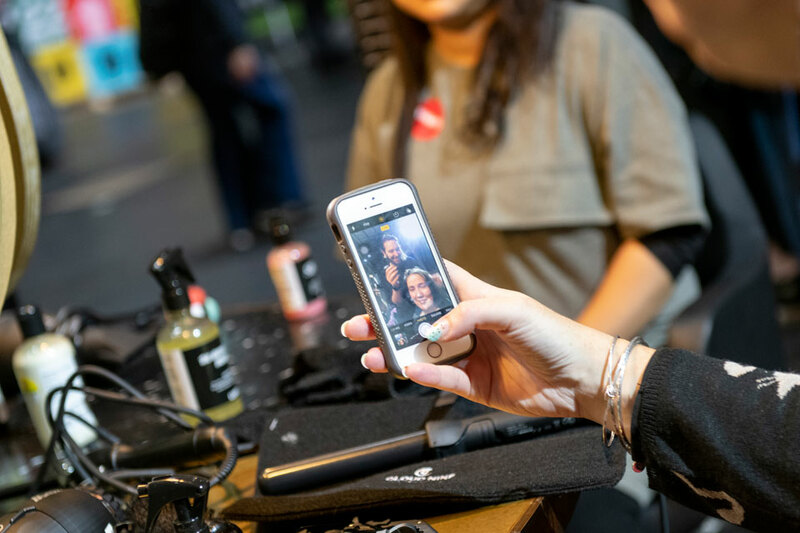 Sharing live event video on-site helps visitors identify areas to visit and activities to participate in, creative displays enhance the experience and sharing live streams from the event increases reach.